Agree! Awesome article. Share this with all your friends to help get everyone informed. The best way to reduce the number of animals euthanized in shelters each year is to keep them from entering shelters in the first place. How do we do that? The traditional answers usually involve TNR programs as well as spaying and neutering. Low cost spay/neuter programs seem to be gaining ground with shelters around the country. These are all great steps to help unwanted animals from being born and allowing individuals to keep a little extra money in their pockets while doing the best thing for their pets. Low cost clinics are a great way to help people with tight budgets provide the best for their cats and dogs. Sometimes though, something more is needed. By Diane Robertson. Please participate in any way you can. 10 Ways to Disrupt Successfully. Many of the shelters and rescue groups we work with are already seeing the extra pitter-patter of tiny kitten and puppy feet as spring is the time of year that non-spayed and neutered animals naturally reproduce. Litters of unwanted and unplanned puppies and kittens are being surrendered to shelters, many are found as strays, and sadly, many of these babies may not make it out of shelters in time if more cannot be done to reduce the number of animals entering shelters. 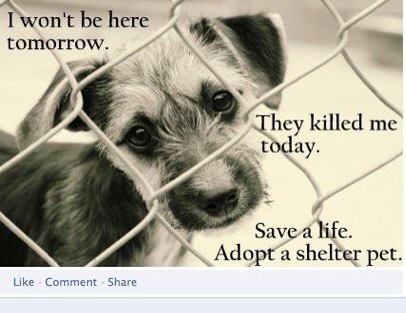 The knock on effect of so many new animals currently entering shelters is many of the older animals are overlooked in favor of the younger fresh-faced puppies and kittens. Shelters are literally bursting at their seams through the spring and summer, but the good news is, there are ways you can help! Foster an animal. This is a life saving act that anyone can do. Are you not ready for the commitment of a animal but you still want the experience? Fostering is for you! Adopt. Now is the time to adopt if you are looking for a specific breed, a puppy or kitten as there are so many more in need of homes! Spay & neuter your pets. This is the most important thing that any responsible pet owner can do, not only to ensure your pet cannot reproduce, but also for their health. Educate others around you to do the same. Many shelters and rescue groups run free or discounted spay & neuter days, make sure you take advantage of these! Donate your time, money or items to your local shelter or rescue group. Many people are looking for ways to help but cannot foster or adopt. Can you spare a few hours a month to volunteer? Can you round up neighbors and collect used towels or blankets to give animals some comfort? Why not organize a food & toy collection with co-workers? There are so many ways to help, be creative! Please contact Animal Outreach of the Mother Lode if you would like to know about available dogs, puppies, cats and kittens or how you can help by fostering, donating, volunteering or sponsoring. Animal Outreach of the Mother Lode is your local rescue group serving El Dorado County and beyond for over 20 years. Fostering Kittens…timely article as it is puppy and kitten season. If you would like to help during this busy time by fostering, donating, volunteering or sponsoring check out Animal Outreach of the Mother Lode Facebook page. Animal Outreach is also currently in need of sponsors for our “Strut Your Mutt” team. I have been lucky enough to have foster kittens in my care for the past week. Five beautiful, troublesome kittens. I haven’t had foster kittens in a number of years, and I forgot just how much work they can be. Five kittens eat a lot of food and use a lot of litter. It has been wonderful watching them run, jump, play and discover. Unfortunately, I can only care for the babies for two weeks. As much as I would love to foster long term, circumstances prevent me from normally taking in foster cats. With any luck we will be able to find a new home to take them when their two weeks are up with me. The annual Strut Your Mutt fundraising event has begun. This is a group of animal welfare organizations that are getting together to walk to save homeless pets across the country. This year there will be walks in 11 cities in the United States plus “virtual” walks for those of us who are not near those cities. This is a huge event and I am personally asking each of you to support me in my fundraising efforts. All donations on my page are Tax Deductible as they will go directly to Animal Outreach of the Mother Lode, a 501(c) 3 non-profit organization that rescues cats and dogs from Northern California shelters before they are killed due to lack of space. My personal fundraising goal is $500, Animal Outreach of the Mother Lode’s goal is $5,000 and the event is hoping to raise $1.5 Million. I did it. I finally did it! I got to meet Jackson Galaxy, Cat Daddy and behaviorist extraordinaire! He was in town this weekend for a book signing at a local bookstore. His book Cat Daddy: What the World’s Most Incorrigible Cat Taught Me About Life, Love, and Coming Clean was just released in paperback and he is going on a nationwide book signing tour. Since I read the book last fall I have wanted to talk to Jackson Galaxy and tell him how much his book meant to me. I don’t actually remember much of the conversation. My anxiety was too high, I was so excited to be meeting him and talking to him; there were so many things going on my brain just sorta went to autopilot and “survive then move on to less stimuli” mode. But it was awesome none the less!